The $3 billion NZX-owned funds management business is doubling down on growth efforts in the face of a shareholder critique with the addition of two new senior roles. Last week the NZX named Thom Bentley as Smartshares head of institutional sales while the stock exchange operator is also on the hunt for a head of product and investments – another newly-created position. Hugh Stevens, NZX head of funds management, said the new investment role would bring in-house some services currently outsourced to consultancy firm MyFiduciary, such as asset allocation and macro-economic research. Stevens said the new position would also include oversight of NZX third-party fund relationships with managers such as Vanguard, Nikko, PIMCO and Dimensional Fund Advisors. “We’ve had a good level of interest so far from New Zealand and offshore candidates,” he said. Investment seminars and investment commentary. 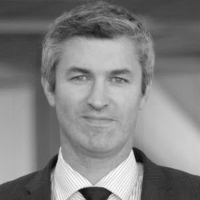 The NZX came under fire last week from Chris Swasbrook, head of Auckland-based boutique global equities manager, Elevation Capital, for its funds management strategies. Swasbrook was seeking a boardroom spill to pressure the NZX to sell its funds business. The latest NZX data shows Smartshares has $2.67 billion under management, of which $1.8 billion is sourced from SuperLife. All up, the NZX funds business manages over $3 billion including the $400 million or so SuperLife money invested outside of Smartshares. Meanwhile, Bentley, who has run his own third-party fund marketing business – Remarkable Capital – since 2004, officially takes up the new Smartshares institutional investment sales role next Monday. Bentley was also involved in a thwarted effort to launch a diversified exchange-traded fund (ETF) business, dubbed EBT Capital, last year. EBT folded this April citing lack of demand and the recent arrival of a couple of competing aggressively-priced passive fund offerings. Stevens said both the Smartshares and SuperLife ranges were finding interest from wholesale investors including iwi. He said the group had translated a product disclosure statement (PDS) into Māori, which required some linguistic creativity. “For example, we had to think about how to describe ‘risk’ in Māori,” Stevens said, while other concepts such as ‘asset allocation’ also pushed the Te Reo boat out further. SuperLife, meanwhile, expanded offshore recently in a deal to run the new retirement savings scheme of Nauru. The once-wealthy Pacific island nation of Nauru – built on the back of, now-depleted, rich guano resources – selected SuperLife in July to administer a compulsory savings scheme to house approximately 10,000 members. Nauru Super is due to start next January with contributions set at 10 per cent, split equally between employee and employer. This July the Nauru government increased all “citizen salaries by five per cent” to compensate for the new super contributions. A Nauru government announcement says SuperLife was selected following “a review of a number of Australian and New Zealand superannuation operators who were able to offer an Australian dollar fund for Nauru Super”. Nauru uses the Australian dollar as local currency. Today, Nauru is more famous for the asylum-seeker detention centre run on behalf of the Australian government. Last month ABC reported that the Australian government had spent about $5 billion in total on the asylum centres in Nauru and Manus (part of Papua New Guinea). Post independence in 1968, Nauru managed a sovereign wealth fund that peaked at almost NZ$2 billion before blowing the lot in a series of poor investments. In 2015, Nauru reseeded a new sovereign wealth fund with contributions from the island’s government as well as China and Australia. The ‘Intergenerational trust fund for the people of the republic of Nauru’ currently manages about $60 million via a Mercer growth fund. In August the Nauru fund agreed to appoint a NZ representative to its committee.